Those of you who know me know I tend to obsess about vision–perhaps too much? As we change jobs and move positions–I don’t know about you, but I tend to look back and take stock in what went right and what could have gone better. I definitely do an internal inventory, but I also look at those in positions of authority and those I have supervised and attempt to glean lessons from them as well. Have you ever been part of a team that never seemed to make any progress? You worked hard, put in full days, but the ball just didn’t seem to move down-field. There was plenty of talent and lots of smart people. Resources were made available, opportunities were there—the team members even appeared to get along–but the group never went anywhere. There’s a strong possibility that the situation was caused by a lack of vision. 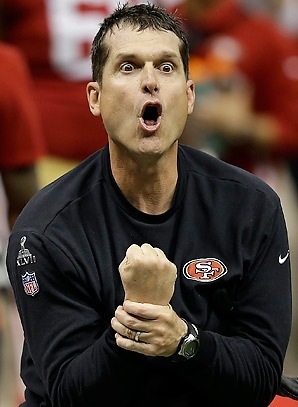 I know it has been a while, but ponder Jim Harbaugh vs Mike Singletary’s 49ers. Under Singletary the Niners became a unified team of high-strength components rather than individuals simply trying to make each other look bad. Vernon Davis is still the poster boy for this shift to a team mentality. However they were still not a team unified by a single vision– Singletary’s 49ers had found ways to lose and underachieve, Harbaugh delivered the right blend of vision, strategy, and tactics at crucial times and found ways to win. Harbaugh took a 6-10 team and turned them into a 13-3 beast. And he did so as a rookie NFL head coach with no real functional offseason to speak of…that’s the power of vision. John Maxwell notes–“Great vision precedes great achievement.” Every unit must have a compelling vision to give direction. An organization without vision is at worst–purposeless. At best, it is subject to the personal…and sometimes selfish…agendas of various team leaders.